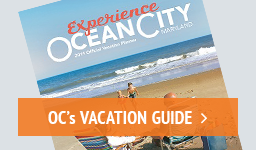 Find Great Places to Stay in Ocean City, MD! When it comes to lodging, we’ve got it all! From major hotel chains to quaint bed-and-breakfasts, spacious summer rentals to fun and convenient campgrounds. Plus, we've gathered everything else you may need to make your stay complete in our Local Business Listings. You’ll find options for healthcare, transportation, real estate services, spas and salons and lots more! Use the button below for a list of hotels and rentals available for graduating seniors. We encourage all graduates/visitors to contact businesses directly for more detailed specifications (i.e. age requirements, security deposits, photo ID, credit card and parental permission, etc.). Bringing your furry friend on vacation? Click below for a list of pet-friendly locations! **Look before you book! ** Check out a message from the Ocean City Police Department on internet vacation rental safety. Please also consider checking out these guidelines and tips before booking your stay through a third-party vendor. Step outside your comfortable efficiency onto a private balcony that overlooks abundant flowers, beachfront hammocks and an inviting swimming pool.